The Dreaded April Fool's Day! And then the UPS man dropped off a package from Editor Wendy. A copy hot off the press of i so don't do makeup, festively wrapped in a bow! 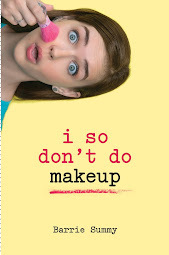 And I can't believe i so don't do makeup will be out in ELEVEN DAYS!! Whee!! I've always been a bit surprised that I didn't grow up to be a librarian. I'm very comfortable in a library. Which makes total sense because I've spent a lot of time in them. We went very regularly when I was a child. 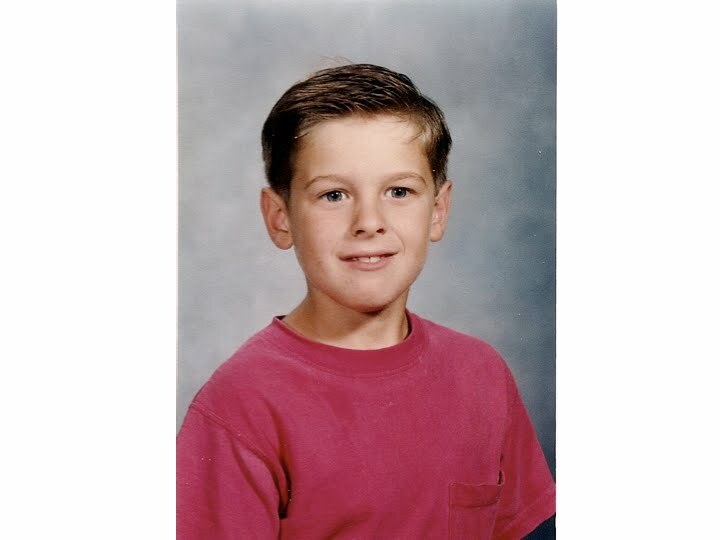 And I was allowed to ride my bike or walk to the bookmobile which parked in the elementary school parking lot once a week (on Saturdays, I think.) I loved the stacks and studying in a carrel when I was in college. I still go to the library to borrow books and sometimes to write. In fact, I'd write there more often if it weren't for that pesky no-eating-and-no-drinking rule. Anyway, I don't remember even considering librarian as a career option. Possibly a mistake. I think I would've made a decent librarian. Once I managed to control my chattiness. All this lead-in to say that I do love a library author visit. 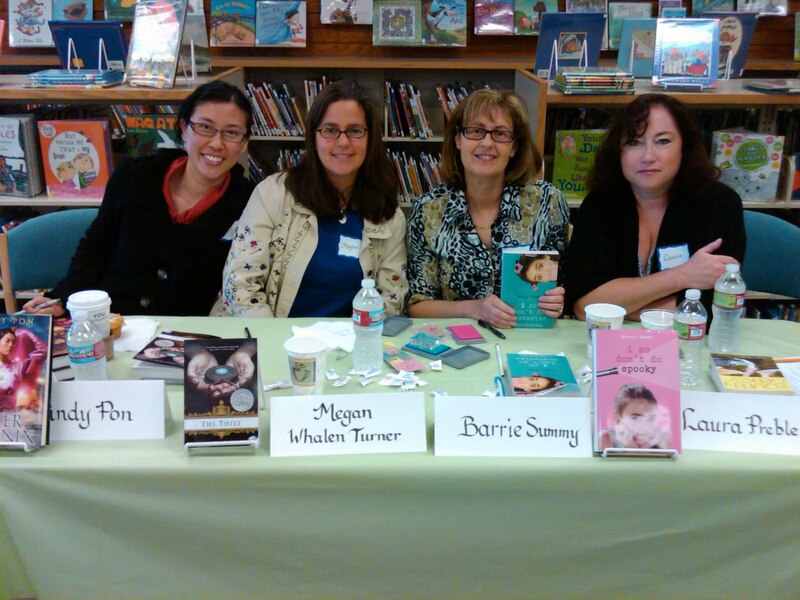 Last week, I was at the Santee Public Library, which is my home library. So, I feel particularly at ease here. I've brought kids to this branch for storytime, done research, talked lots with the librarians, paid a small fortune in overdue fines. Laura Preble. Actually, I had a REALLY great time. I think I was the last to leave. The visit was set up to honor the library's volunteers. Here's a blog post by one of the honoree's, Roseann. 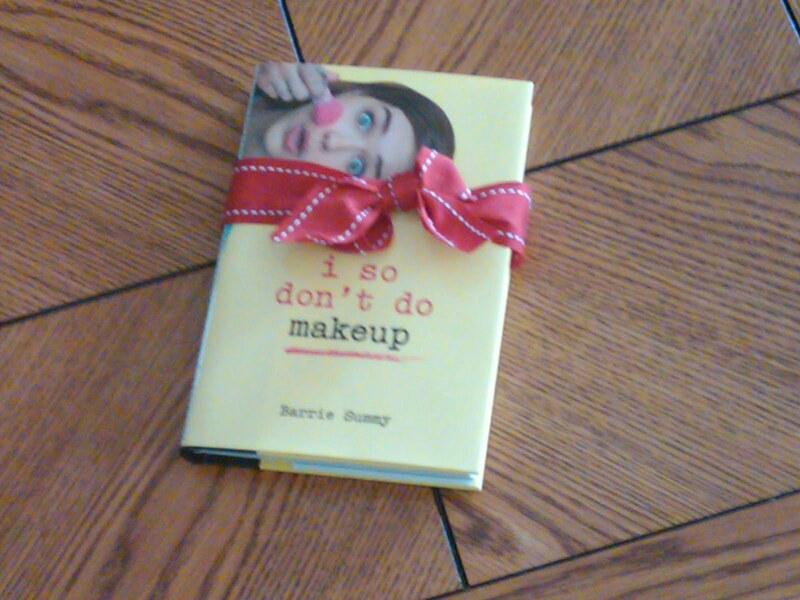 My next big library visit is June 28 at the Rancho Santa Fe branch, promoting I So Don't Do Makeup. The library is bringing in a makeup artist for the event!!! Should be another fun visit. Anyone else out there who's surprised they didn't wind up in a particular profession? NEWS FLASH! 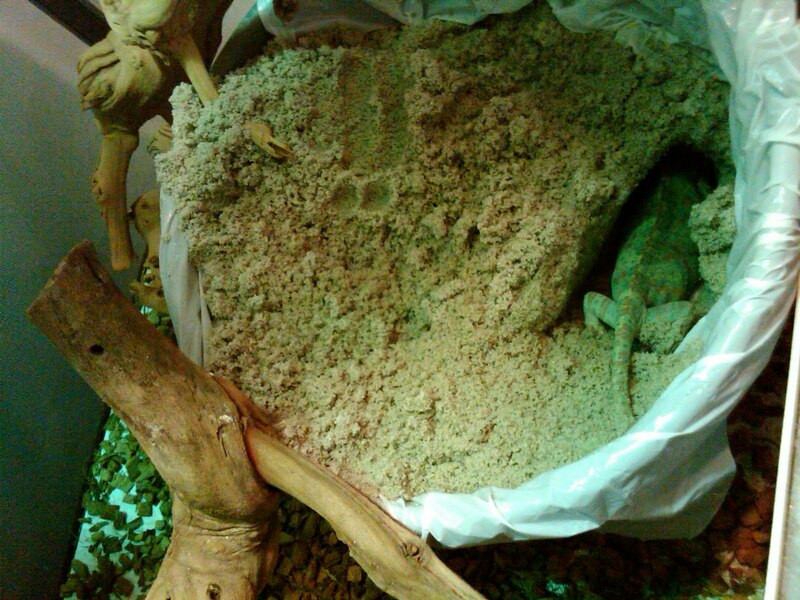 Our veiled chameleon has laid another clutch of eggs! !t's been about two months since the last batch, so it's her quickest turnaround time. From everything I've read, she's shortening her life span by being so prolific. But I don't know how to convince her to stop and take up another hobby. You see, she'll produce eggs with or without the male. And she has to lay them, or become eggbound and die. Anyway, here is our brave little mother in the five-gallon flower pot "birthing chamber". She has been digging for 3 1/2 hours. You can see she still has quite a bit of work ahead of her. The male chameleon is inches away from the flower pot and seems oblivious to all the digging activity. He's basking under a warm sun lamp and shedding. 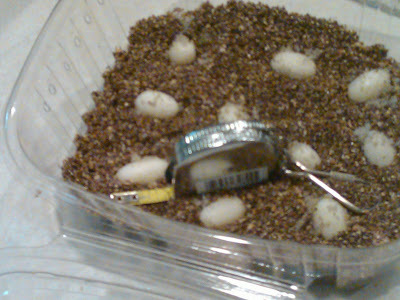 Seven and a half hours later, the little mother emerges, smoothes over the sand and climbs up the artificial silk plant. I sprayed her down and brushed off the dirt. She drank from a leaf and gobbled down a few crickets then, then vegged. Can't blame her! Please check out posts by the other My Town Monday participants by clicking here. You can love your children so much that it almost hurts, but you can also have days when you wonder just how much more of motherhood you can handle. My little sister and I call the latter "Anne Tyler Days." In a Ladder of Years, Anne Tyler's thirteenth novel, the protagonist, middle-aged Delia Grinstead is in her kitchen. Hmmm....at least I think she's in her kitchen. I'm always in MY kitchen when I have these thoughts. At any rate...Delia Grinstead is listening to her difficult husband and her full-of-attitude teens one morning. She opens the front door, walks out and heads to the beach. As she's walking along the sand, she thinks "I wish I'd thought to bring my purse." Because she has, all of a sudden, decided not to return home. Delia Grinstead walks away from all the turmoil and angst and frustration in her home. She becomes a runaway wife and mother. She hitches a ride to another community, finds a job as a secretary and lives an altogether different life than the one she abandoned. So, when I call my sister or when she calls me and announces, "I'm having an Anne Tyler Day," it means we want to push open our front door and walk away from the whole mess called motherhood. Now, to be fair, we've never actually done this. We've never even come close. But we do love our little code. So, if any of you ever phone or email me to say you're having an Anne Tyler Day, you won't have to give any more explanation than that. I'll understand exactly what you mean. p.s. If I ever do act upon an Anne Tyler Day, I will NOT forget my purse! 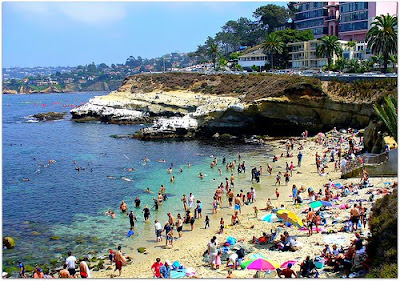 San Diego is known for its idyllic weather. More than 30 million visitors (edited) flock here annually. And spend over $80 billion. Guess who else likes San Diego? The flea. Basically, any season is flea season for us, with a peak from July to October. Based on fossil evidence, fleas date back 100 million years which means a tyrannasauras rex or a triceratops might have been bothered by the biting, blood-sucking insects. A female flea begins laying eggs 36-48 hours following her first blood meal. Then she drinks 15 times her body weight in blood each day. She can lay 2,000 eggs during her two-to-three-month lifetime. There are over 2,000 species of fleas, but the cat flea (which infests both dogs and cats) doesn't like freezing temperatures. Which is why they love San Diego. The cat flea is mostly likely the flea bugging your pet. In general, a flea jumps 150 times its length which is like me jumping 813 feet. A flea has two eyes, but only sees bright light. Flea larvae are blind. 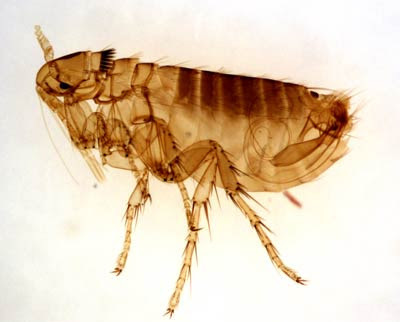 Fleas can smell exhaled carbon dioxide. This helps them find hosts. Flea-ridden rats are responsible for the Black Plague of the Middle Ages. 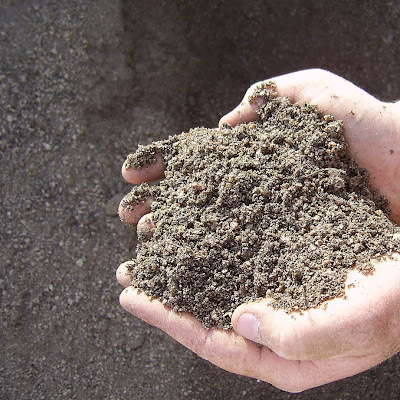 Writing this post made me itchy. Please check out the posts by the other My Town Monday participants by clicking here. If you have a MTM post, leave a comment on the My Town Monday blog, and a link to you will be added. 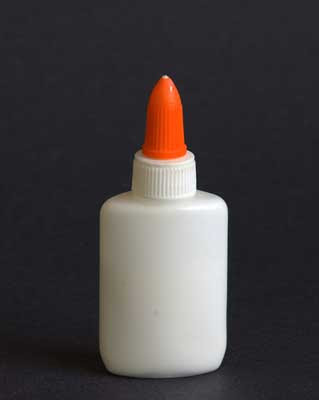 Actually, you can even leave a comment at the bottom of this post, and I'll hop over and link to you from the MTM blog. You remember that Mr. and Mrs. 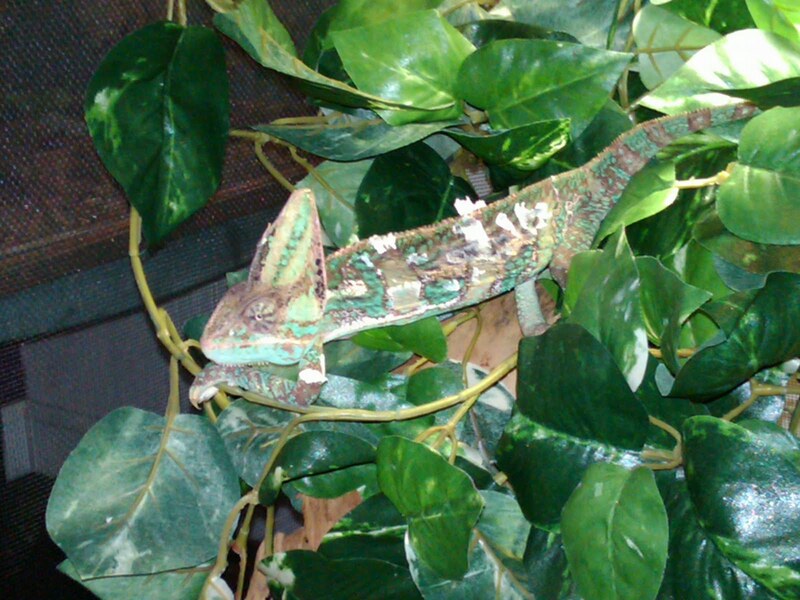 Veiled Chameleon are currently residing in separate residences? Basically, she wouldn't share the crickets, and he was fading away to a mere skeleton of his former self. Recently, Mr. Chameleon escaped and found himself mesmerized by a shiny blue toy sports car. Here's the post. The other day, I noticed him walking around the bottom of his cage, then on the door. This is unusual because he's a man who likes the top of his cage and the warmth of his heat lamp. 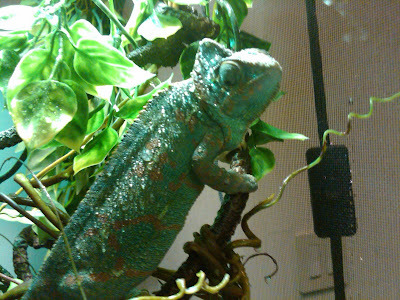 Mr. Chameleon trying to escape twice in a short period of time? Guess whose cage is right beside his? Is it possible, I wondered, that she's sending out some strong hubba hubba signals? I put him in her cage. There will be more fetilized eggs in our future! I could've gotten some great photos, even action-packed video. But, oh no. Child #2 wouldn't allow it!! My Town Monday: What's Cooking in My San Diego Kitchen? Herein follows a mostly pictorial My Town Monday post. It all started with a sale. 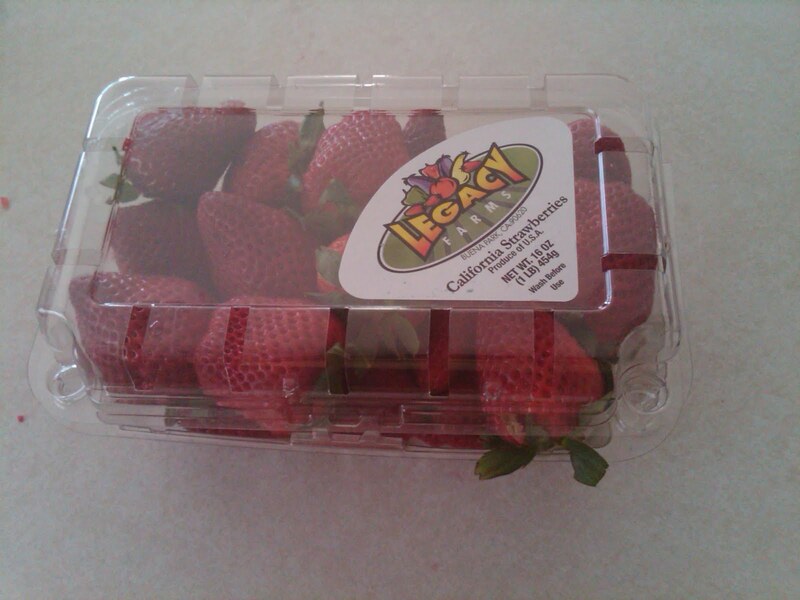 A pound of Southern California strawberries was selling for $ .97! 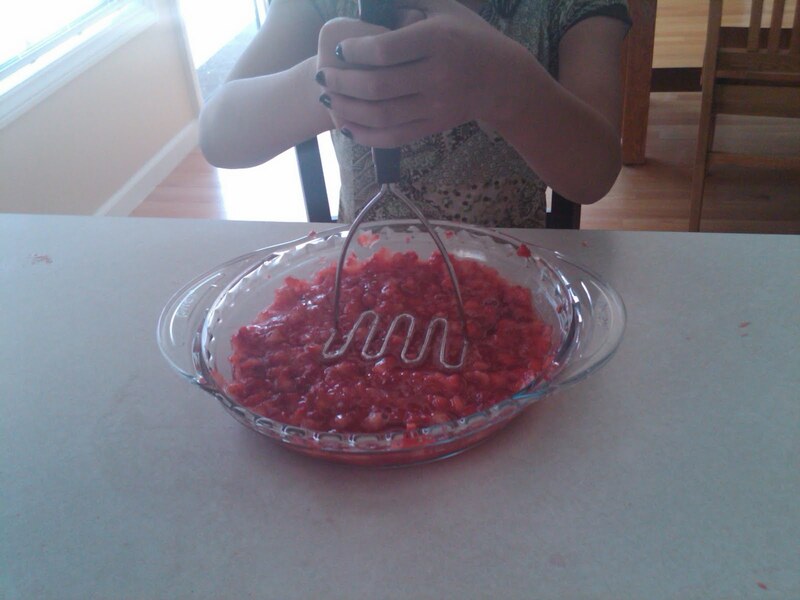 Child #4 squished up about 7 pounds of strawberries. Why was she squishing them up with a potato masher? 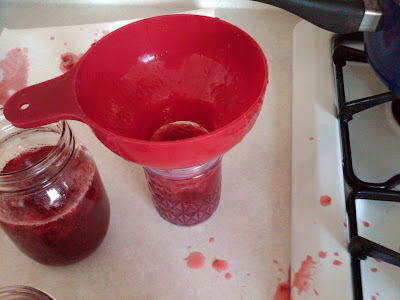 Because our food processor is broken! By the way, this was not child labor. This was Fun with a capital F! Cooking the mixture of squished stawberries, 7 cups of sugar (!) 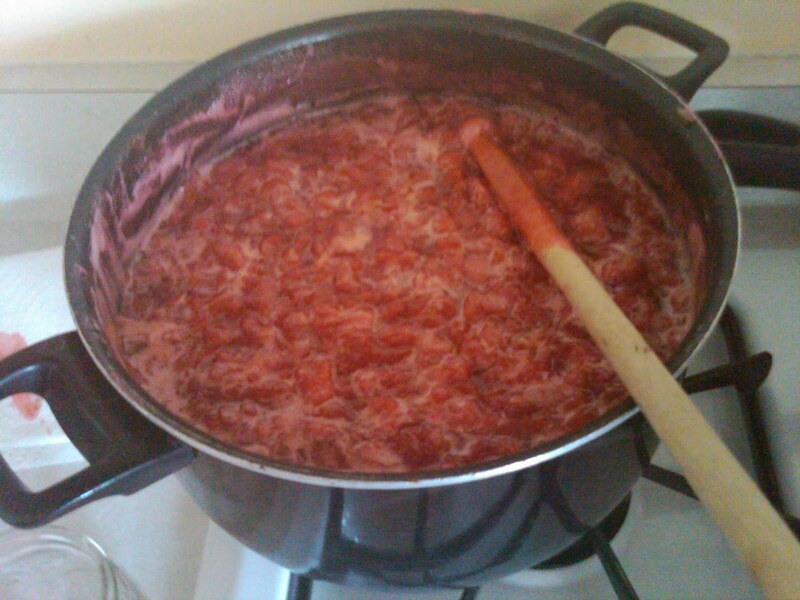 and pectin. 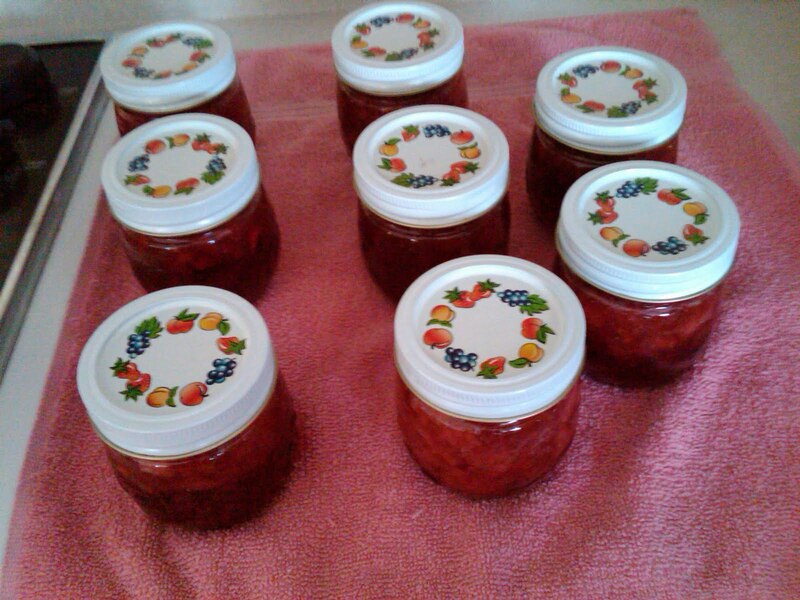 Filling the jam jars. Messily. 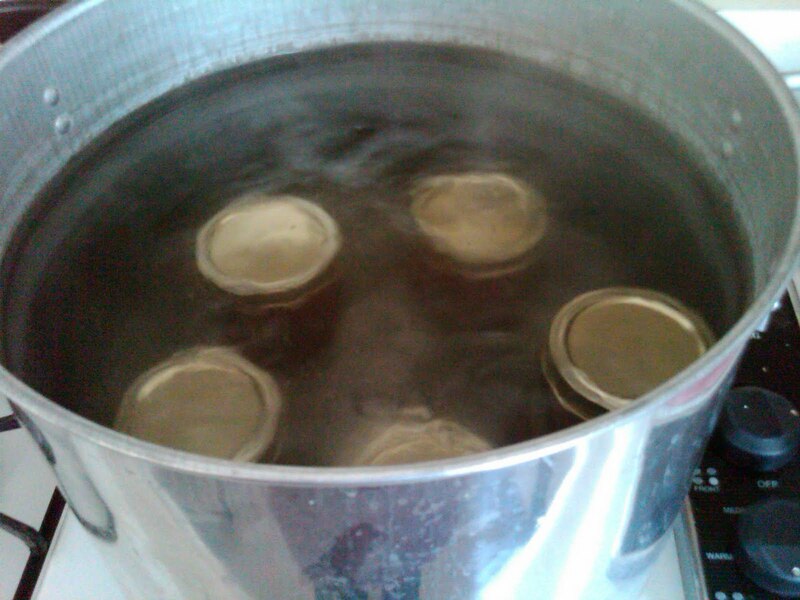 Then we boiled the filled jars in order to seal the lids. I have no idea why the water looks so murky and scary in this photo. It was totally clear and fine. Seriously. Some of the finished product. As they cooled, the lids made a popping sound. We're baaack!! It's the FIFTEENTH meeting of our book review club! Incredible, but true! So...pull up a chair, grab a cup of coffee and a cookie and get ready for reviews that will make you want to rush out and buy books! Three months before dying of breast cancer, Siobhan Dowd finished writing bog child. 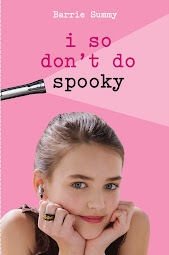 There's a lot going on in this young adult novel. A lot for protagonist Fergus McCann to make sense of. bog child is set in the 1981 in Northern Ireland, right by the border of the North and South. While digging up peat, Fergus uncovers the murdered body of a young girl. A body that may date back to the Iron Age. He begins hearing the voice of this person, Mel, and relates her surprising story bit by bit. In addition, his brother is in prison for political reasons and has gone on a hunger strike. His parents argue incessently about "the Troubles." Fergus is studying for exams that will whisk him away from his small town and the Troubles and into a pre-med program in Scotland. He's being "asked" by the IRA to smuggle packages across the border when he goes out for his morning runs. And he's falling in love with the daughter of the archeologist. Oh yeah, and he's learning to drive. 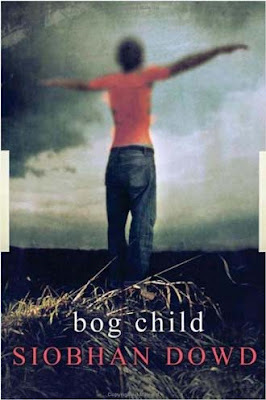 bog child grapples with all kinds of big issues: family, moral, and policital responsibility. Believe it or not, this book also has humorous moments. 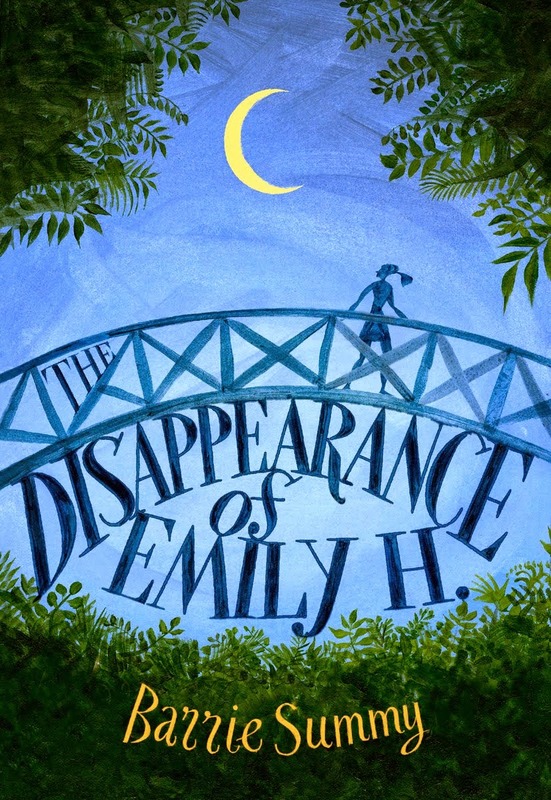 And the writing is beautiful and lyrical and very Irish. Not a sentence is wasted. The coveted Carnegie Medal was awarded poshumously in 2009 to Siobhan Dowd for bog child. It's the best book I've read so far this year. Please click on the links below for amazing reviews from amazing reviewers! And, surprise, surprise! We have two reviews for the same book. 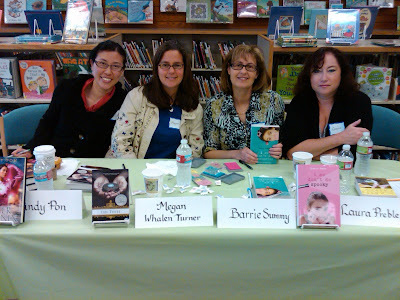 A first for our little book club! **Look! Look! Two reviews of the same book! Note to Reviewers: You know the drill. :) If I missed you, leave me a comment and I'll rectify the situation pronto. And award myself one less chocolate today! 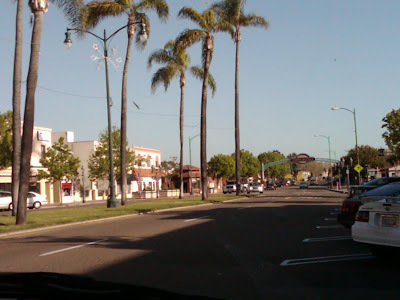 Yesterday afternoon, Child #3, Child #4 and I headed about 20 miles southwest to Chula Vista (means "Beautiful View" in Spanish), a city of about 230,000 located seven miles from downtown San Diego and seven miles from the Mexican border. 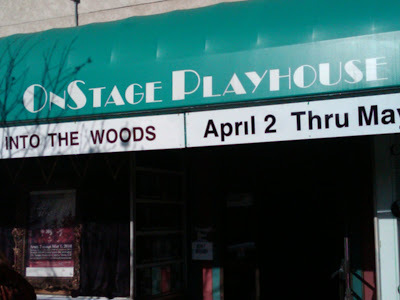 Our destination: OnStage Playhouse to see Into the Woods. The OnStage Playhouse is a non-profit community theatre that's been around for about 30 years, although not always at this location. They usually produce six plays/musicals per year. This is the third play I've seen here. I also saw Cabaret and A Taffeta Christmas. All three were UBEREXCELLENT. Into the Woods runs until May 1. If you live in the vicinity and are looking for some great entertainment, I'd highly recommend it. See this guy? It's our very own Mr. Cameron Williams. You might remember him from a couple of years ago when he guest-blogged here. He posted a My Town Monday about the Star of India. 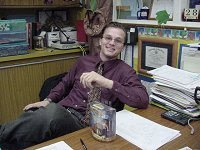 Also, he's a fifth-grade teacher extraordinaire at Child #3 and Child#4's school with an award-winning class website. And Mr. Williams has a huge part in Into the Woods. He can sing and act like there's no tomorrow. The entire cast is very talented. 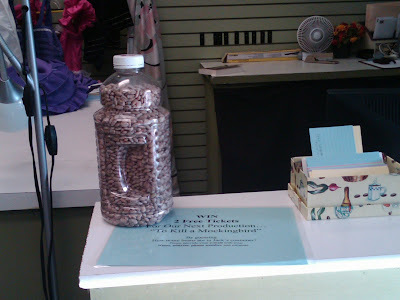 This jar of beans sits in the lobby. Whoever comes closest to guessing the number of beans wins two free tickets to the next show, To Kill a Mockingbird. I'd really like to see this show. So, if you do make it to Into the Woods, please don't enter a guess. And guess what scary thing happened right after we'd all returned to our seats following intermission? Earthquake!!! Yes, it registered 7.2 with an epicenter in Mexicali, Mexico (roughly 130 miles southeast of the theatre). The tremor lasted about 45 seconds. This is a very long time, the longest quake I've ever felt. We all trudged outside to the sidewalk to wait for aftershocks. I called home. Mr. Summy reported that the water was sloshing around in our pool and some almost sloshed over the edge. Ack. I am happy to report that all my boys are sleeping in on this dreaded morn. Which means I am safe, for the moment, from all manner of April Fool's Day malarky. According to Wikipedia, the first reference to practical pranks on April 1 was in Chaucer's Canterbury Tales (1392). However, Wikipedia also lists Canada as one of the countries that allows hoaxes past noon, and that certainly was not the case for me growing up. Anyway, here's the best April Fool's Day prank ever played on me. It was brilliant, albeit in bad taste (pun intended--you'll get it further down the post :) ). Cherubic Child #1, back in the day. A mother's (that's me!) FAVORITE tea bags, sent to her by one of her loving sisters in Toronto. The mother (still me) has a limited supply of these tea bags and doles them out to herself carefully. 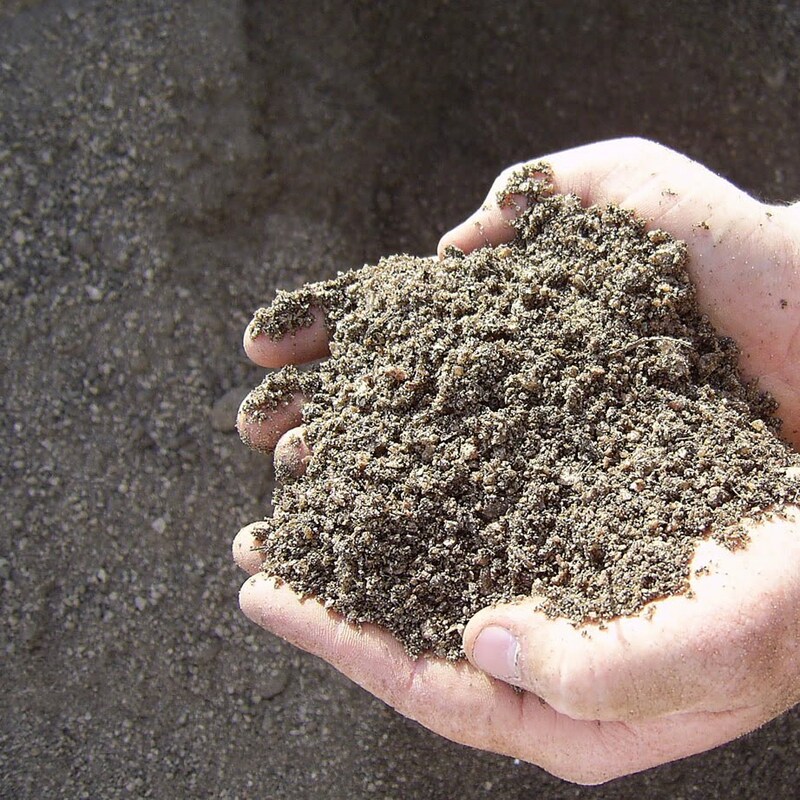 Common, everyday dirt from a California backyard. And a bottle of Elmer's glue. Child #1 opened up my tea bags, dumped out the tea, filled the bags with dirt, then painstakingly glued the bags back together. Yes, these are DIRT bags!! !